Join the Elite Assembly of Dream Masters Who Have Expert Knowledge of the World of Dreams and Are Reaping All the Amazing Benefits in Every Aspect of Their Lives – As We Speak. The Only Question Now Is… Are You Ready to Receive This Stunning Source of Unlimited Personal Power? 1. Have you ever woken up with a vivid dream that was either sad/happy/scary but you didn’t know what it meant exactly? 2. Do you believe that dreams carry a much deeper significance to your life because they are rooted in the creative subconscious, a plane of consciousness beyond the reach of the waking mind? 3. Do you want to make your life 100% better by understanding what your dreams are trying to tell you? If you said yes to any of these questions, then you are part of a growing number of people on this planet who have awoken from a very long slumber… You have slumbered for many years, cut off from the spiritual plane and the fruits of your own subconscious mind. The images, sounds and textures manifest in your dreams every night but with unseeing eyes, you simply move on and forget these dreams that you encounter whenever you lay in bed, weary from the day’s stresses. Dreams are expressed in a special language – the language of the Universe and the subconscious mind. The subconscious mind is directly linked to the spiritual plane and is an independent channel that you can use once you learn how to do it. Dreams are vessels of wisdom and power, sent directly by the Universe every night. Are you taking advantage of these divine messages or are you letting them slip away? For thousands of years, the ancient healers and medicinemen from the East and West have acknowledged and used dreams for healing and personal growth. Dreams have also been appropriated for many other purposes such as communicating with ancestors and determining whether a harvest will be bountiful or not. This shows that man can easily channel the natural energy of dreams and transform this energy to something that would have a direct impact in physical reality. Dreams can guide you to the right decisions in life and can help you consciously create a new world filled with satisfaction and happiness! Dreams are never just random images, sounds and textures… They are the very stuff of the Universe, the ethereal fabric that holds together the world and makes creation possible. Whatever occurs in your mind has the possibility of being consciously created in the physical world where we live and breathe. The human mind is the only one of its kind that has the ability to harness conscious creation, remember that. We are blessed, sentient beings because we have been given the ability to use our minds to create our own realities. I know this because I have been using my own dreams to accomplish my biggest goals in life for over twenty years! It started out many years ago, when I began having these strange dreams when I was still studying in the university. I was young then and I didn’t believe in such things until the dreams became more and more incessant… Every night I dreamt of strange symbols and characters. I thought it was stress and believe me I tried to ignore the dreams as much as I could. One time, the dreams became so vivid that I started looking into the significance of dreams. What I discovered shook me to my very core! I found out that my dreams were more than just products of my imagination but rather, they were the secret language of wisdom that I had been looking for, for a very long time. For many years I pondered the absence of a guiding presence in my life, I never knew that the divine guidance that I was looking for was there all along, just waiting to be acknowledged and decoded by myself. When I gained some familiarity over the dream language, I started spending more time researching about how dreams worked and how other people can use their own dreams to gain amazing advantages in their own life. The result of all those years of hard work was Dream World, a work composed of twenty distinct audio modules. Dream World is a labor of love and was created with only one thing in mind: to help other people realize their full potential by tapping into the incredible resource that is their own dreams. Dreams should be considered an unlimited resource that you can be used again and again and as much as you please to make your life happier and more satisfying. The messages embedded in our dreams are always significant because they are there because of your past and present experiences. Dreams are the brightest guiding light that you can have, even in the stormiest times of your life. Your own dreams are doorways to the ageless wisdom of the Divine. This wisdom is timeless and priceless and is given FREE every time you close your eyes to sleep. Would you let something as valuable as this slip by? 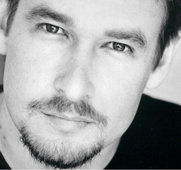 If you have tried understanding your dreams and have failed before, this will work for you. If you have ever wanted to understand what your dreams meant, this is definitely for you. If you want to make your life happier, more productive and less stressful with less problems overall, Dream World will help you achieve that. How Can Dreams Make Your Life Better? UNLOCK your life’s full potential by accessing the unlimited resource that is your nightly dreams. Your dreams are messages sent by the Universe and the Divine; they are also vessels for insights gleaned by your subconscious mind. SUCCEED in accomplishing the most challenging goals you have set for yourself – with the help of none other than your own dream world. The secret language of dreams contains timely information on how you should go about tackling problems and goals in life. REVEAL the secrets that lie in the symbols in your dreams. Secrets about your past and present may reveal themselves in dreams – you just have to know how to read these symbols yourself! Click Here to Get Dream World Right Now and Discover the Meanings of Your Dreams. Only for $37! I designed Dream World to accompany you to the very depths of the subconscious mind, so you can unlock and discover the hidden meanings of all your dreams, spare none. Dream World was also meant to aid people who already have some prior knowledge about dreams and their meanings. 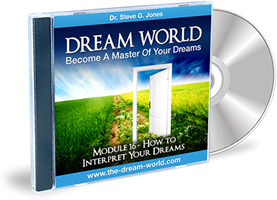 All twenty power-packed modules provide all of the necessary tools needed to decode the toughest dreams possible. Take a peek at the future by following the clues left by your dreams – it’s time to go on a psychic adventure through the dreamscape! Channel the Wisdom of the Ages Through Dreaming – Download Dream World Instantly & Securely! Telepathy and dreams – can dreams be used to mentally transmit messages to others? Can dreams be used as a tool in precognition? Dreaming and déjà vu – why do people feel that they have experienced something before? Reading the signs – are your dreams warning you to keep you safe from people or experiences that might harm you? How can you perform lucid dreaming at will? Why do dreams follow certain patterns? The nature of recurring dreams – why do they occur? What could be the messages of your recurring dreams? Who uses dreaming to improve their lives? This is just a very mild taste of all the things that we will be discussing in Dream World. As promised and guaranteed, Dream World is the only guide you will ever need to gain crucial understanding of the dream process and how it relates to your life. Success, abundance and happiness are all very possible if you know how to use the wisdom and messages found in your own dreams. Download Dream World & Enjoy the Amazing Benefits of Dreams Today For Only $37! PS. A new life awaits those who are not afraid of the Universe’s own wisdom, grab Dream World right now! PPS. Successful people have always used their own dreams to propel themselves into new heights of glory. Do the same by understanding your dreams. PPPS. All you need is 30 seconds to get the most comprehensive and most exciting guide to the dreamscape that was ever made… Click here to download Dream World securely!